If you thought the Yuki Nagato Figma figure was great, here's some pics of my personal favorite of the three Suzumiya girls, Mikuru. 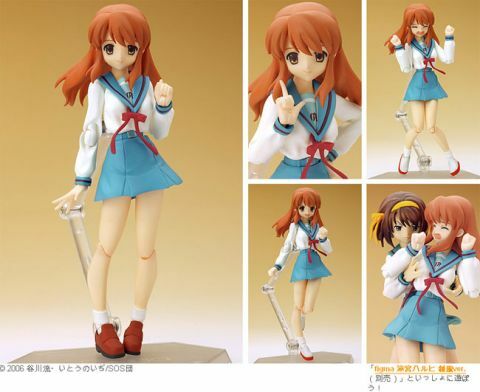 the figure I believe is already out in Japan or going to be in the next month or so. Here in the states though we have to wait till August or September. The Figma figures are just great the way they can be posed in many different cool poses. 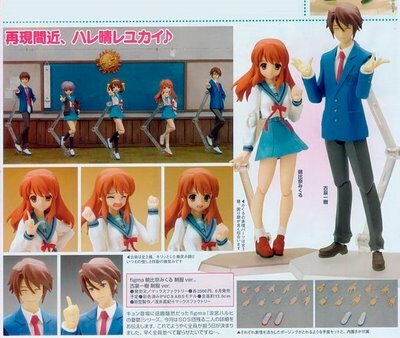 Even funnier when you pair them up with the other figures as you can see with Mikuru. She's definitely being added to my computer desktop here.